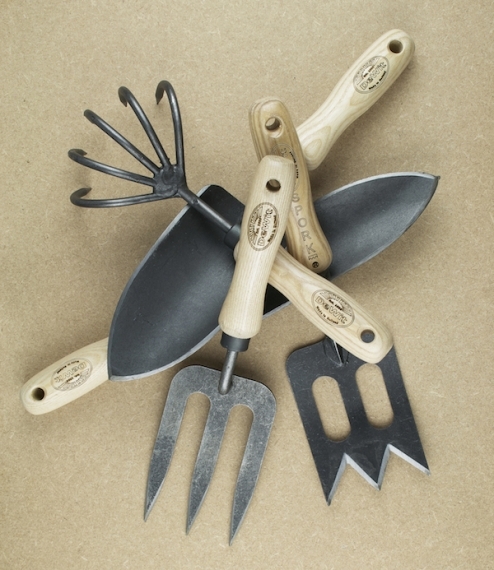 Black burnished high boron steel ash handled garden tools hand forged and fabricated in Kornhorn, northern Netherlands, by DeWit a company founded there as village blacksmiths back in 1898. 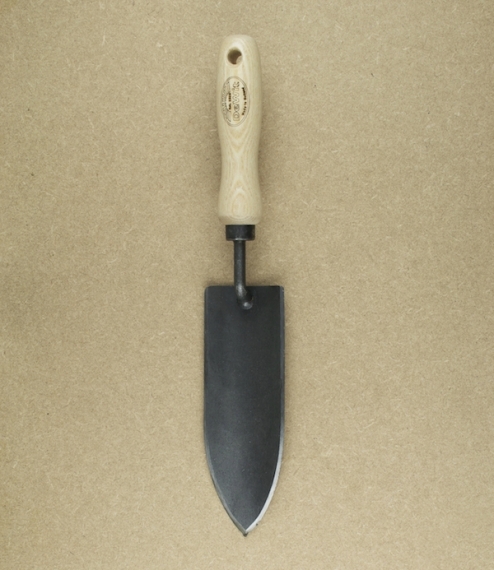 Through hardened boron steels are know for their strength and durability, and relative toughness in comparison to high carbon knife steels, making them ideal for the manufacture of more robust garden tools - they can however rust, and will discolour, so are best stored dry and regularly oiled after use, in which case cared for properly will outlast us all. 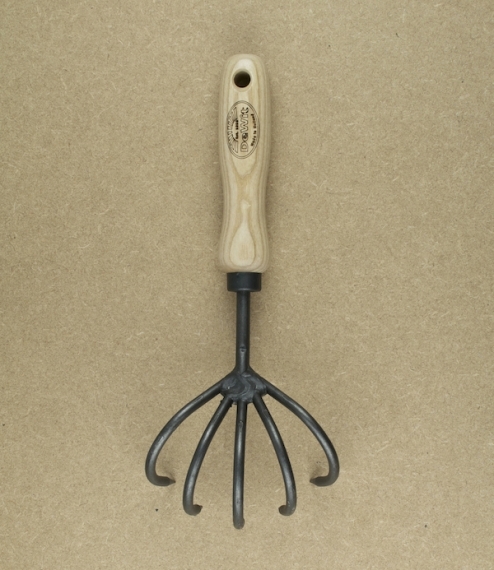 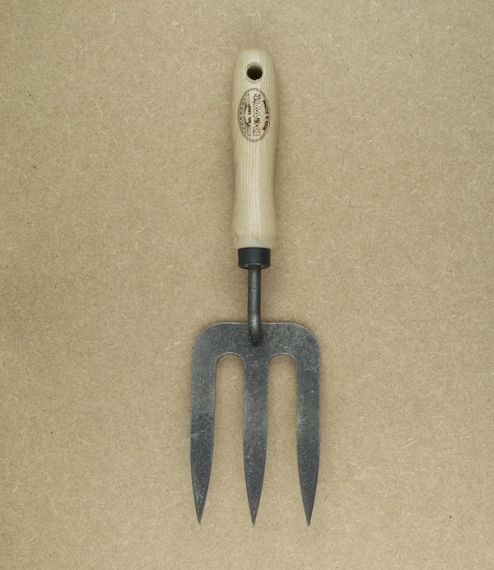 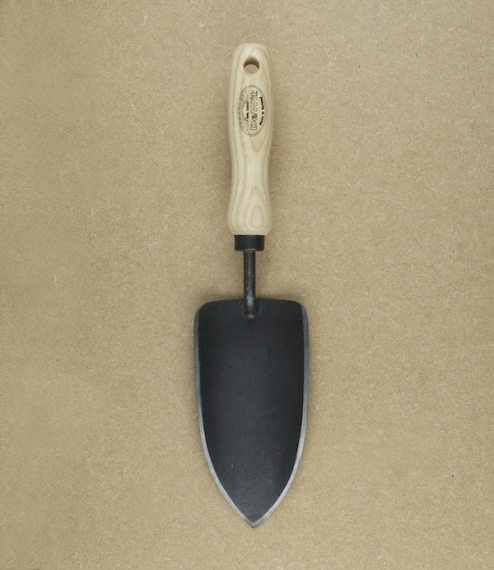 This is the welded planting trowel, a broad bladed trowel able to take a very sharp edge for easy single handed digging.